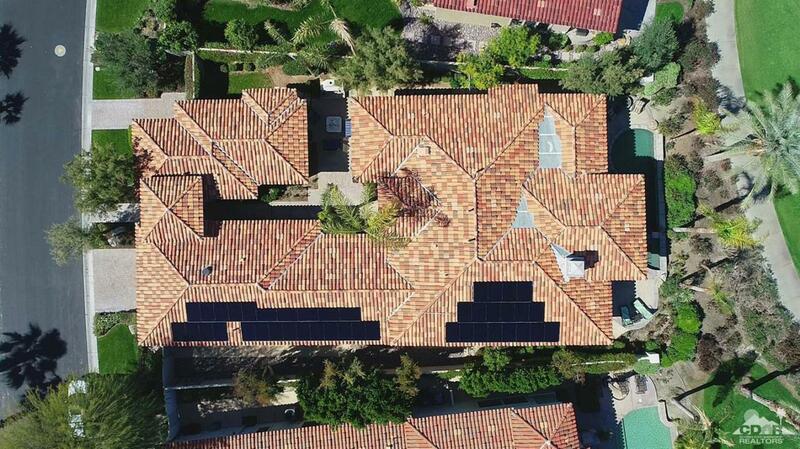 This beautiful Italianate home inside Toscana Country Club is the epitome of desert living, harnessing the power of the sun through fully-paid solar panels. Through the entry, the courtyard welcomes with a warming fireplace. Inside, the expansive sliding glass doors brighten the greatroom. The open floorplan is perfect for entertaining, and features a large greatroom that connects the wetbar, multiple sitting areas, and gourmet kitchen. This chef's paradise showcases a grand island, drop-in range, and beautiful granite countertops. An oasis of its own, the master suite highlights gorgeous Jack Nicklaus Signature Golf Course views and an enormous soaking tub in the master bath. Guests can relax in the private guest house, or one of the spacious guest rooms. Beautiful stone flooring flows throughout the home, and outdoors, visitors can enjoy the views while cooking on the built-in grill or relaxing in the sparkling pool. 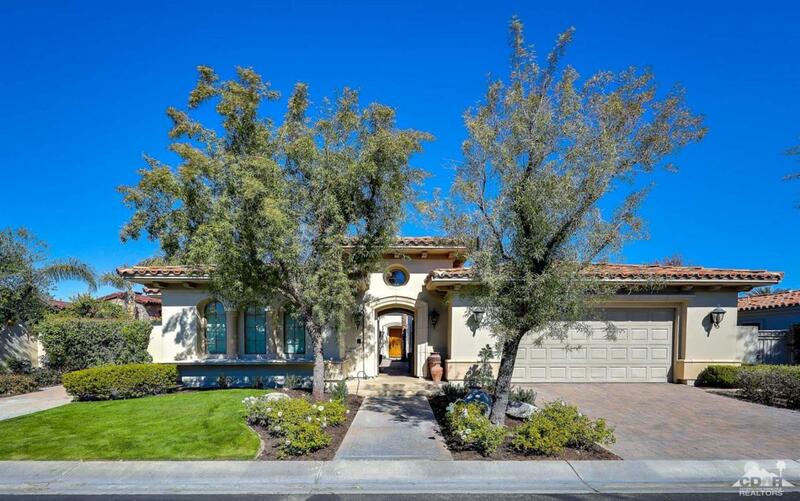 Listing provided courtesy of Dudley Latham And Andy Ford Group of Toscana Homes, Inc..
©2019 California Desert Association of Realtors. All rights reserved. IDX information is provided exclusively for consumers' personal, non-commercial use and may not be used for any purpose other than to identify prospective properties consumers may be interested in purchasing. Information is deemed reliable but is not guaranteed accurate by the MLS or The Sandi Phillips Team | HK Lane. 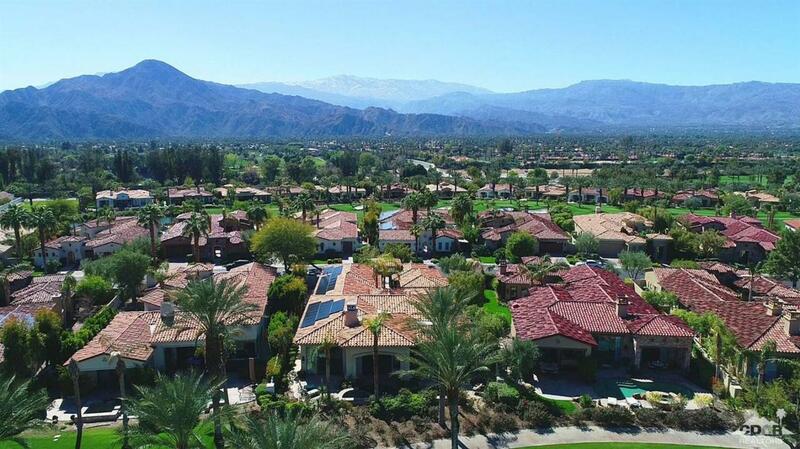 Based on information from the California Desert Association of Realtors as of 2019-04-20T11:37:56.743. All data, including all measurements and calculations of area, is obtained from various sources and has not been, and will not be, verified by broker of MLS. All information should be independently reviewed and verified for accuracy. Properties may or may not be listing by the office/agent presenting the information.